Alleged kidnapping kingpin, Chukwudumeme Onwuamadike, alias Evans, has filed a fresh suit against the police, seeking the release of 25 Mack trucks, which he claimed were seized from him. 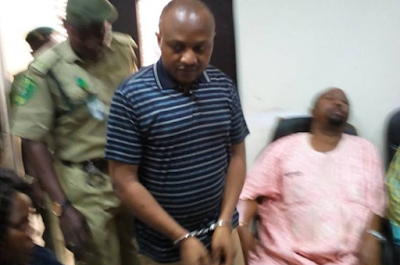 Ogungbeje is praying the Federal High Court in Lagos to order the police to release the trucks to Evans through him (Ogungbeje). He listed the number plates of some of the said trucks as BDG 78 XT, GGE 491 XU, FST 742 XT, AGL 219 XT, BDG 79 XT, AGL 222 XT, GGE 492 XU, AGL 220 XT and GGE 489 XU. According to him, the police forcefully confiscated the trucks from Evans on June 15, 2017 without any court order.